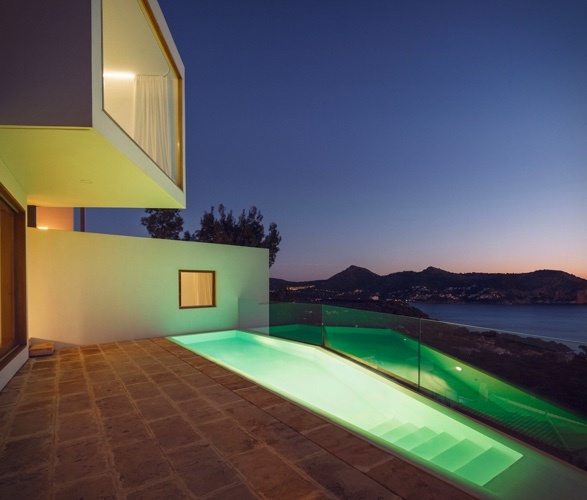 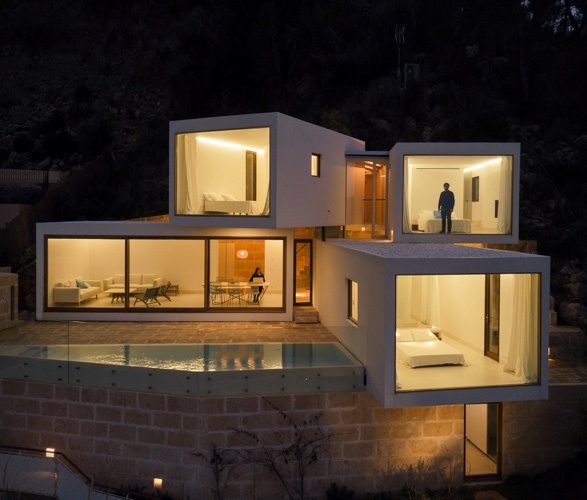 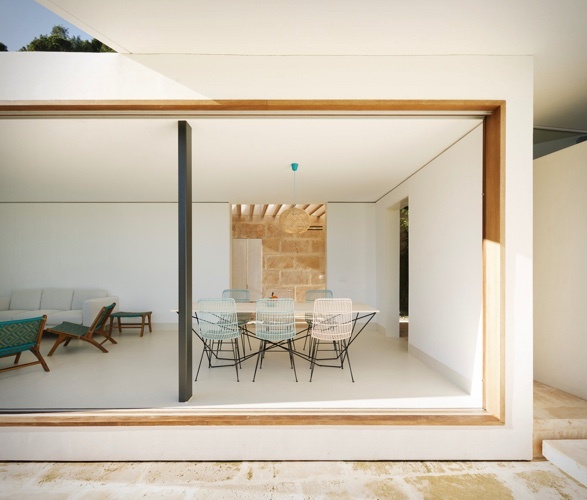 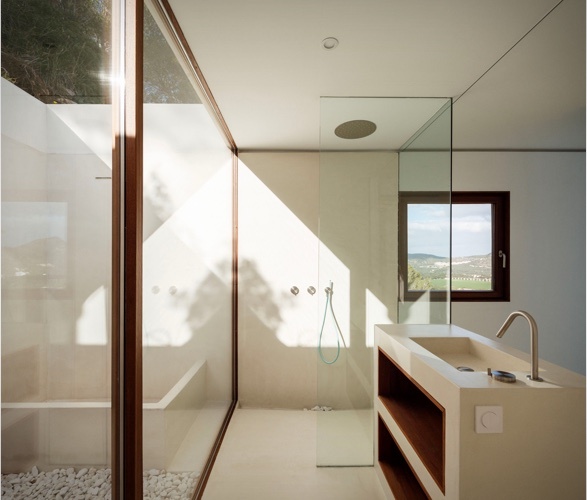 Designed by Caballero Colon Architects, this stunning villa is located in Spain´s beautiful island of Mallorca. 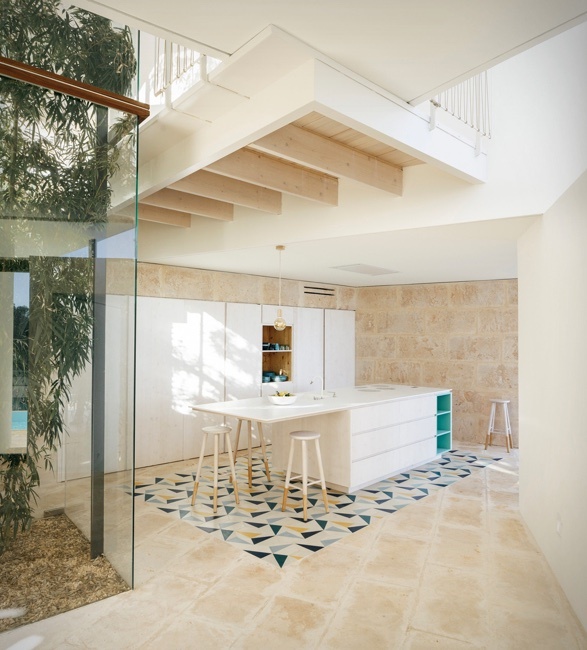 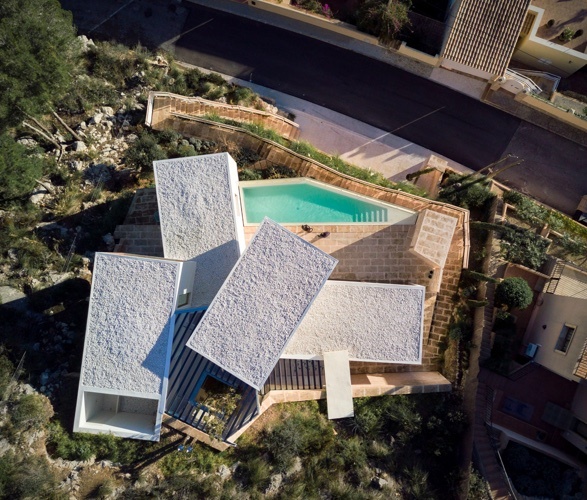 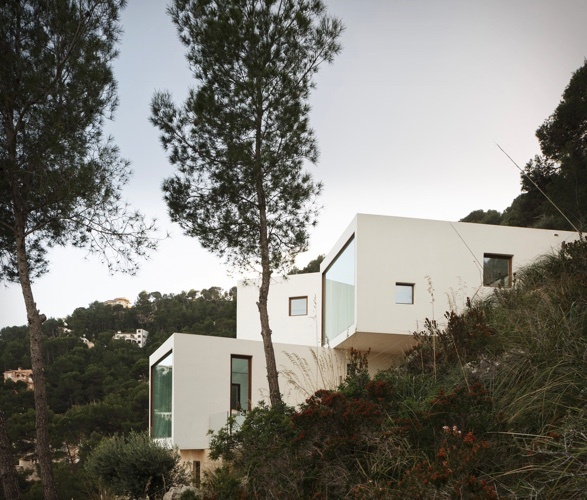 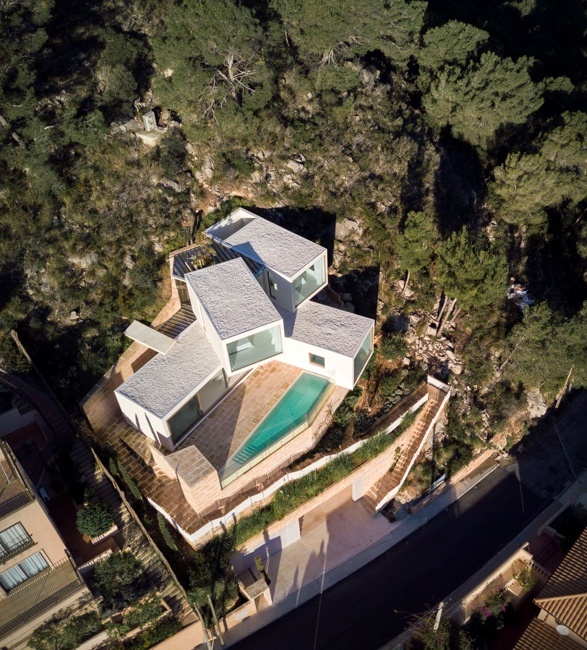 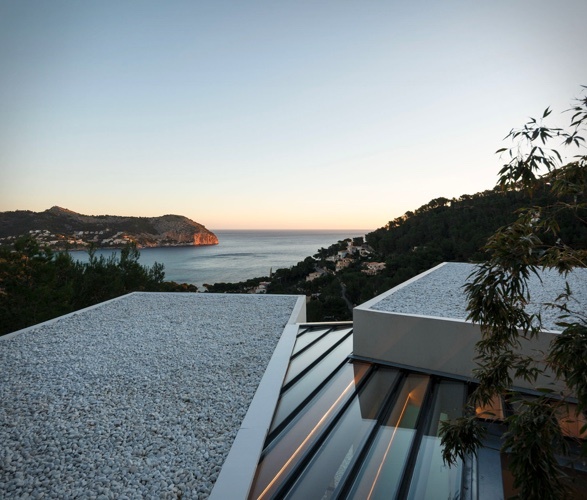 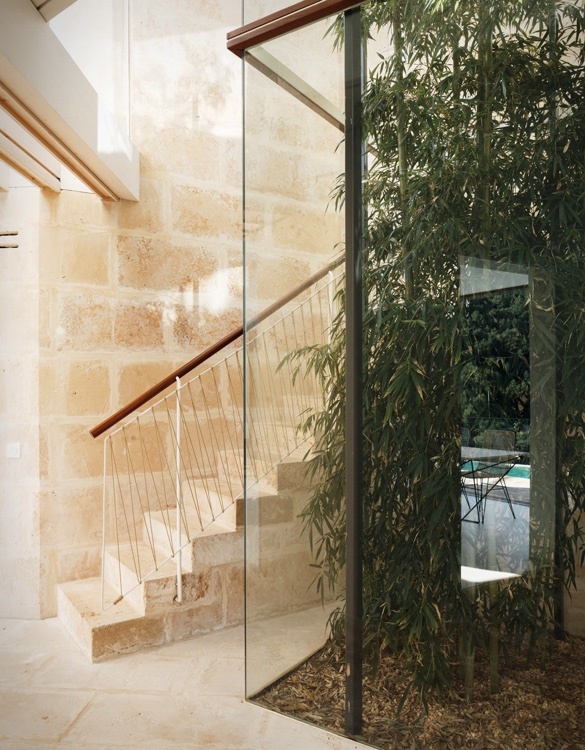 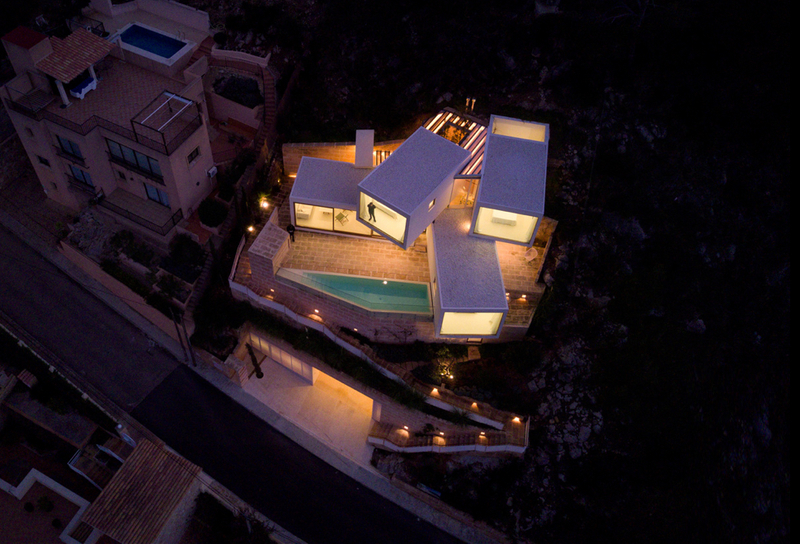 Perched on a steep and rocky hillside covered in the local wild vegetation, from which you can enjoy mind-blowing views of Canyamel Bay, the unique house is composed by a sequence of stone platforms that settle multiple volumes built on the abrupt site. 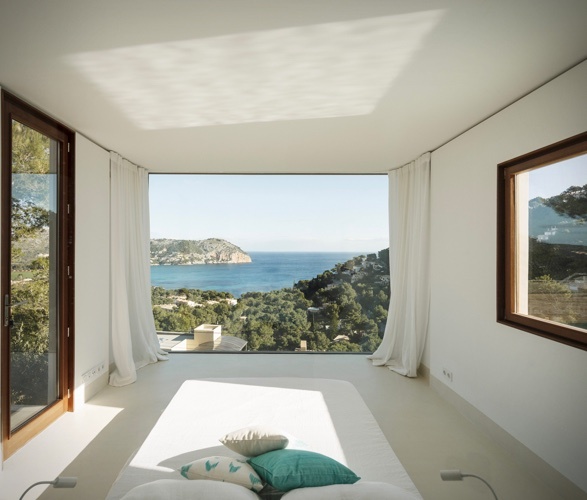 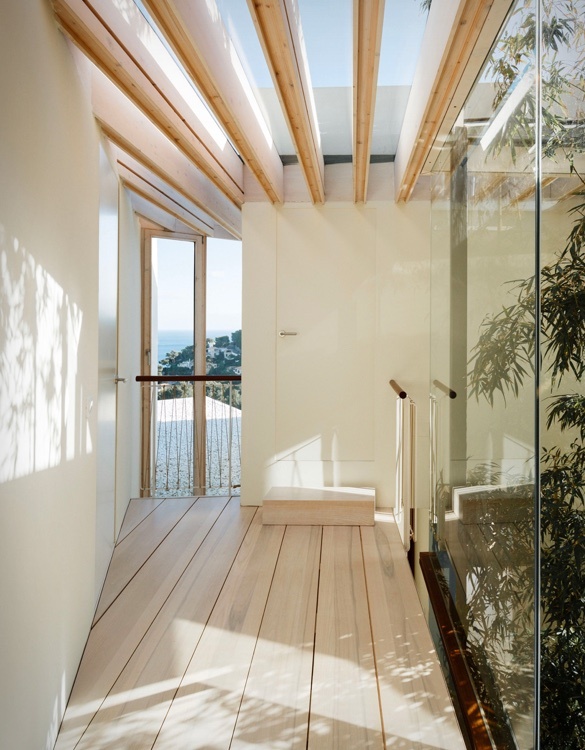 Four stacked boxes accommodate the main living spaces and infinity-like windows dilute the limits between interior and exterior space, providing impeccable views of the bay below.